Relatives shed tears during the requiem mass for Suzan Magara, 28 a cashier for Bwendero Dairy Farm who was kidnapped and later killed. 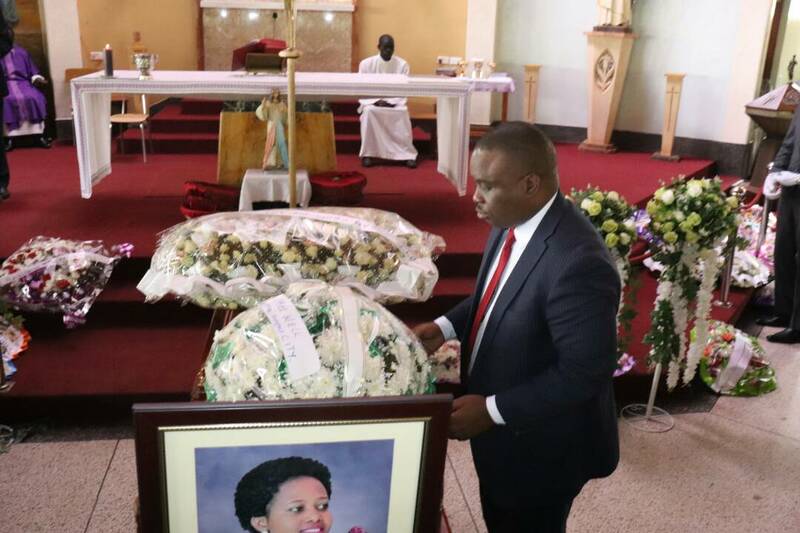 It was a sombre mood at Our lady of Africa Catholic church in Mbuya during the requiem mass for the late Suzan Magara who was killed after several days of kidnap. The silence in church from the congregation could speak volumes about their feelings about the death. Magara,28,an administrator for the family business and a cashier at Bwendero dairy farm in Hoima district was kidnapped on February 7 by unknown assailants. She was recovered dead and body dumped 100 metres from the Kampala- Entebbe Express highway at Kitiko which is between Kigo and Kajjansi in Wakiso district on Tuesday. In her message read by her husband, Cindy Magara, the elder sister to the deceased decried the ever increasing spate of murders that she said government has failed to solve. The deceased’s family led by the father John Magara. “Kidnaps and murders have become a daily song.There are so many unresolved murders but for how long will this continue,”Cindy Magara,who is in Australia wondered in her message during the requiem mass . 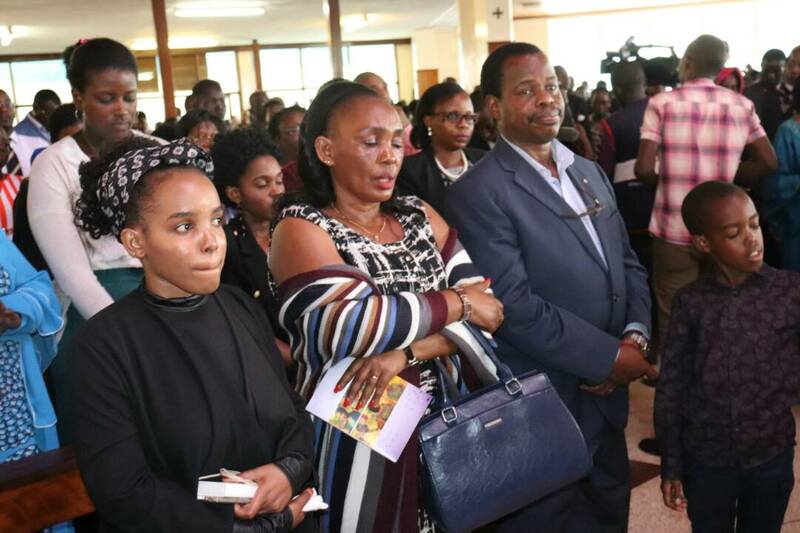 Mourners decried the state of affairs in the country especially in regards to loopholes in the security system which they said is a great worry to every one. “It sounds like a movie. These are stories we used to watch in James bond movies when evil people kidnap and kill others. 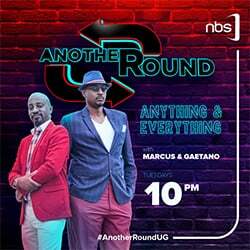 It sounds so strange,”Kampala Lord Mayor Erias Lukwago told journalists. Lord Mayor Erias Lukwago lays a wreath. Last year over 20 women were raped, killed and sticks pushed into their private parts in what looked as a similar fashion in Nansana and Entebbe areas of Wakiso district. Police arrested a number of people before being charged over various offences related to the murders. On Wednesday,mourners also rapped government over the fist fights among the various security agencies that are exposing the country. 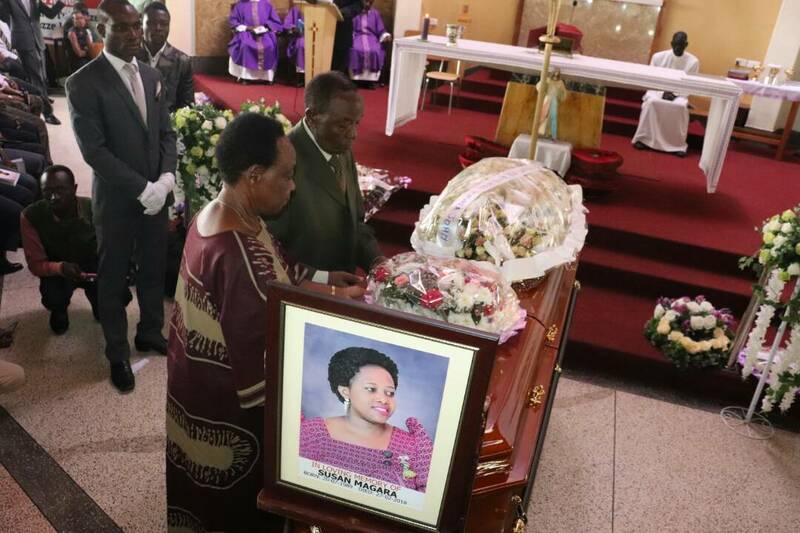 Former deputy Prime Minister Henry Muganwa Kajura and the wife lay a wreath on the casket. 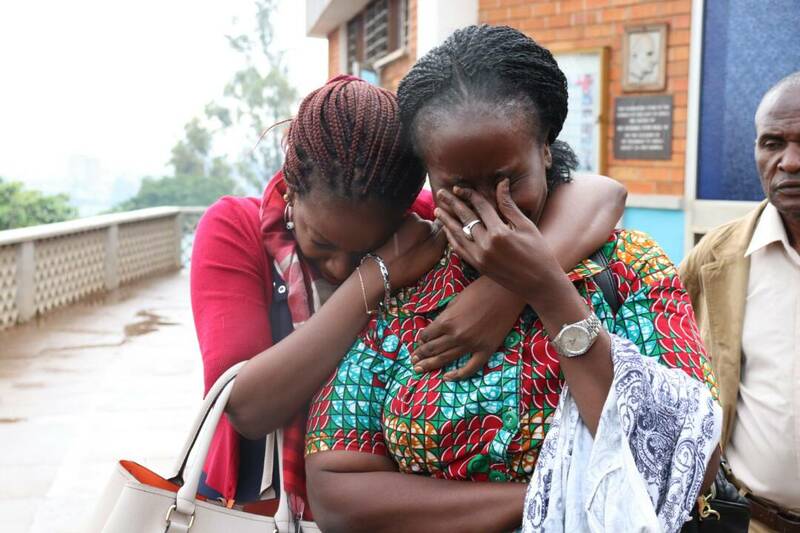 The mourners heard that the kidnappers turned killers called Magara’s relatives a number of times but this didn’t go well with the congregation who lashed out at the Uganda Communications Commission for negligence. “How can UCC and NIRA explain this after the SIMcard registration exercise?None of us is safe,”Lukwago said. Fr.John Munghereza, the parish priest for Mbuya decried such inhumane acts that he said depict the society we live in now. “We are living in a fragile generation that only dreams of a soft life but doesn’t want to work.We must unite against this evil that is going to destroy our country,”Fr.Mughereza told mourners. Friends and relatives described the deceased as a selfless person whose flawless smile could move mountains. Patience Aloyo, a close friend to the deceased described her as a candle whose light shone so bright among her colleagues and friends.